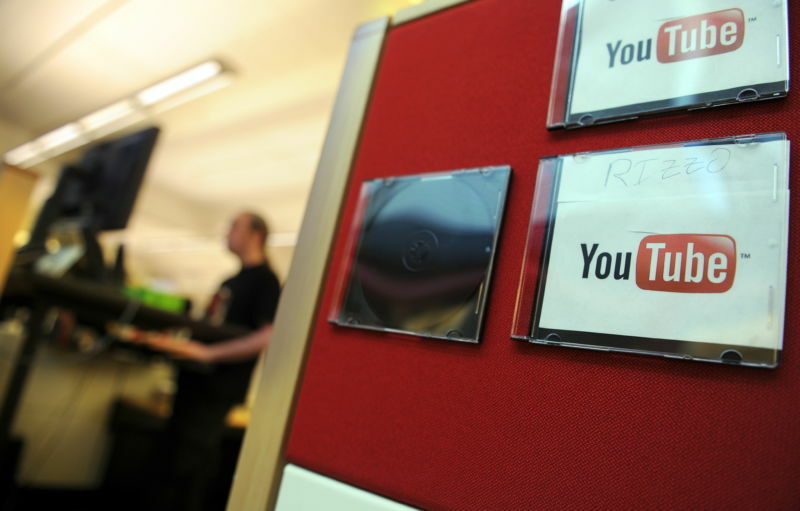 Enlarge / Employees work at the Youtube headquarters in San Bruno, California, on May, 26, 2010. A former YouTube employee has sued Google—the video site’s parent company—alleging that he was wrongfully terminated from his position after he complained against hiring practices that he claimed were discriminatory against white and Asian men. The lawsuit, which was filed in late January in San Mateo Superior Court but wasn’t reported in the media until Thursday, comes at a time when many Silicon Valley companies (including Google) are becoming increasingly cognizant of a largely male, white, and Asian workforce. Some companies have publicly said that they are trying to rectify this situation by working harder to find candidates who can do the job and who are also traditionally underrepresented minorities. The civil complaint explains that Arne Wilberg, who is described as a 40-year-old white man by The Wall Street Journal, worked as a recruiter for YouTube for seven years. In his job, Wilberg was tasked with helping to select engineering and tech talent for YouTube and Google. According to the lawsuit, Wilberg received high marks for his performance as a recruiter until he began pushing back against Google’s efforts to hire a more diverse workforce in 2017. His manager, Allison Alogna, informed Wilberg and his colleagues that they were to “only accept” a certain rank of engineers (“Level 3”) if they were diverse. In April of 2017, Google’s Technology Stafﬁng Management team was instructed by Alogna to immediately cancel all Level 3 (0-5 years experience) software engineering interviews with every single applicant who was not either female, Black, or Hispanic and to purge entirely any applications by non-diverse employees from the hiring pipeline. Plaintiff refused to comply with this request. Wilberg argues that these practices are “illegal and discriminatory,” and, as he continued to resist these practices, he increasingly chafed against his managers and colleagues. Eventually, Wilberg was fired in November 2017. His lawyer, Daniel Feder, did not immediately respond to Ars’ request for comment. Google did not respond to Ars’ further questions as to how many similar lawsuits involving alleged wrongful termination and discrimination the company has received.